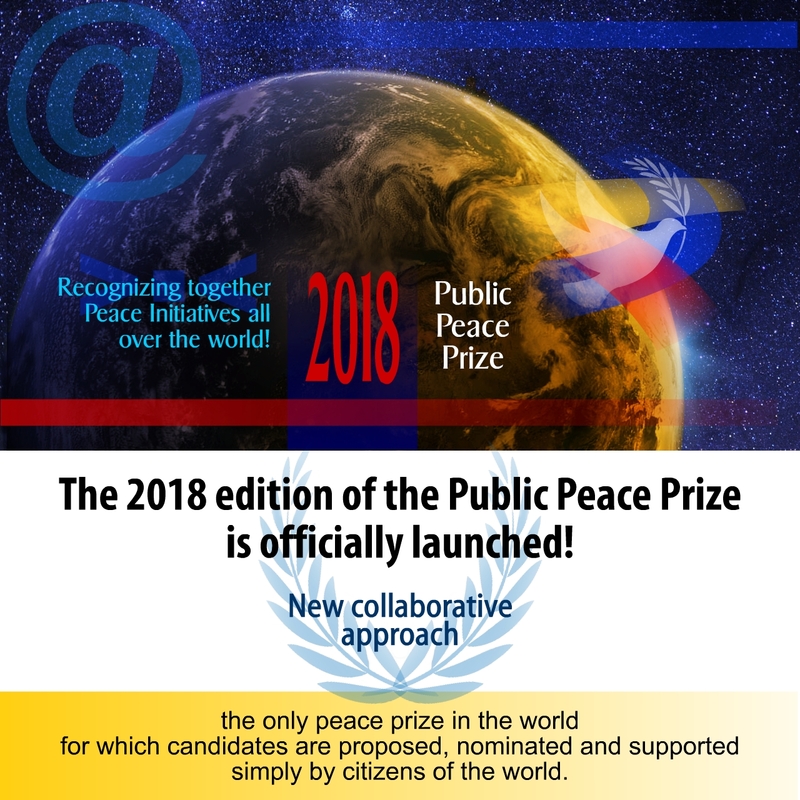 The Public Peace Prize, the only peace prize in the world for which candidates are proposed, nominated and supported by the planet’s simple citizens, wants to further encourage a culture of mutual aid, collaboration and peace. Completely new in 2018 is that all participants will be called upon to contribute to sustaining each initiative or artisan of peace beyond any form of competition. Why this new approach? Because many competitions and prizes end up involuntarily supporting elitist trends. Invariably this creates more losers than winners. We just need to think about all the initiatives and artisans of peace who remain little known, shadowed by those officially proclaimed winners. Noteworthy is the fact that for years now, and thanks to public support, the PPP has largely contributed to making known over thirty finalists and laureates around the world. Like previous years, the Public Peace Prize is a completely cost-free, unsubsidized, unsponsored prize, run by ordinary volunteers, citizens of the world. Its purpose is to promote greater support for the artisans and initiatives of peace beyond borders, cultures, religions and social backgrounds.